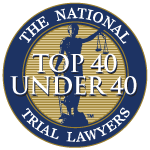 Florida boating accident lawyers and personal injury and wrongful death attorneys remind boaters that increased law enforcement presence on the water this summer is aimed at reducing traffic boating accidents. The Collier County Sheriff’s Office is stepping up enforcement along the Naples shoreline — reminding boaters that most accidents are caused by boat operators, whether your boat or another boat on the water. Carelessness, inattention, navigation-rule violations, poor choices during bad weather, inexperience and alcohol consumption can all lead to tragedy on the water. As the summer season kicks into gear, safety advocates remind boaters that being out on the water can be fun, but it can also be dangerous. -Take a safety course offered through the U.S. Power Squadron and the U.S. Coast Guard Auxillary. -Don’t operate a vessel under the influence of drugs or alcohol. -File a float plan with a loved one or close friend so they know where you are going and when to expect your return. -Take a fully charged cell phone. -Any boat operator 21 or younger piloting a vessel with 10-horsepower or greater must take a state and NASBLA-approved boater safety course, send proof of completion to the Florida Fish and Wildlife Conservation Commission and carry their FWCC-issued boating safety ID card and photo ID while operating the vessel. 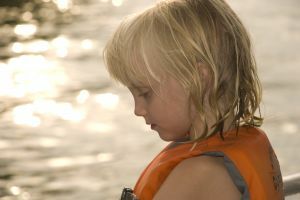 -Wearing a life jacket can make the difference between life and death. Coast Guard statistics show 90 percent of drowning victims in recreational boating accidents were not wearing a life jacket. Drowning is the reported cause of death in two-thirds of all boating fatalities. 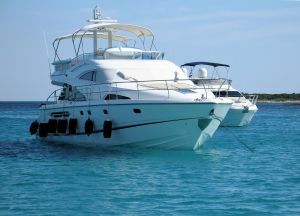 -It is a violation of Florida law to operate a vessel while impaired by drugs or alcohol. Many of the same rules apply as drivers of motor vehicles — including the legal limit of .08. -A vessel owner and operator is required to maintain aboard equipment required by the Coast Guard, including approved personal flotation devices for each person. -Vessels with build-in fuel tanks or enclosed compartment where gasoline fumes can accumulate are required to carry at least one fire extinguisher (depending on vessel) which is approved for marine use. If you or someone you love has been involved in a boating accident, our Florida injury lawyers offer free appointments to discuss your rights at offices throughout Southwest Florida, including Fort Myers, Cape Coral, Naples, Port Charlotte, Arcadia, Sebring and Venice.